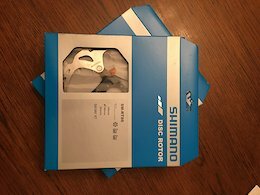 Brand new in box Shimano XT Ice 180mm 6-Bolt Disc Rotors. Sold as a pair. Will ship to lower 48. Brand New in package SHIMANO XT CS-M771 10 SPEED CASSETTE. Will ship to lower 48.